Finishing college can be an exciting and confusing time. Most students graduate with several large financial responsibility including student loans, rent, credit card debt and car loans. Sometimes this can feel overwhelming to manage, but you are not alone. According to the Federal Reserve Board of New York more than 37 million people currently owe money on students loans. About fifteen percent of those people currently behind on payments. In 2012 and the average student loan debt for college graduates was $27,000. Most people who struggle to make payments are either unemployed or underemployed. You do not have to give up hope when it comes to managing your money after college. If you put together a careful budget, make a plan to pay off your debts and save for the future, you can overcome the financial difficulty you may face after you graduate. You can work through your student loan debt and still achieve everything you set out to do. Below is a guide that provides a guide useful links that cover a range of debt management and money saving topics. Wall Street Oasis Financial Dictionary: Learn the basic definitions of financial terms. Knowing these terms will make it easier for you to negotiate loans, and manage your finances from budgeting to investing. Managing Your Debt: This site will help you address your debt. It gives you the warning signs for too much debt, and will help you set up a viable plan to manage your finances. Managing Your Finances: This page will help you create a solid money plan so that you do not graduate with unmanageable debt. It will also help you set up a plan even if you have accumulated some debt. Bankruptcy and Student Loan Debt: This article by Sallie Mae explains what happens with bankruptcy and student loan debt. Most student loans are not cleared in a bankruptcy. Pay Off Debt or Invest? : This article explains if you should pay off your debt or invest your money first. It can help you decide how to handle your debt and invest in the future. How to Win the War on Credit Card Debt: This article gives an intense look on how you can manage to get rid of your credit card debt permanently. Credit card debt can help you back from reaching your other goals. Learning how to stop using your credit cards and start spending money wisely can help you win. Deferment and Forbearance: This article explains the difference between deferment and forbearance. It also describes how to set up a deferment for your student loans. When you have a hard time making your student loan payments, you can avoid late fees and penalties by working with your lender. FinAid and Student Loans: This article explains all of different types of students loans are explained. About Student Loan Tax Credits: This Intuit article explains the benefits of the student loan tax credits and how to claim them. This is an important article so you can save money on your taxes. Student Loan Interest Tax Deduction: The IRS explains the student loan interest tax deduction and how to claim it. You can claim it even if you do not currently itemize. Student Loan Consolidation: This article gives you the ins and outs of student loan consolidation and explains when you should take advantage of it. Student loan consolidation allows you to lower your monthly payments by stretching out the life of your loan. How to Consolidate Student Loans: Suze Orman gives advice on when and how to consolidate your student loans. Student Loans: The Federal Trade Commission gives the ins and outs of managing your student loans once you graduate from college. Best Ways to Save Money and Stay Safe: This Forbes article gives some practical tips on how to save money this year. It also talks about the things you can do to protect your finances. Top Ten Ways to Save Money: This article explains ten areas you may want to address if you are trying to save money this year. 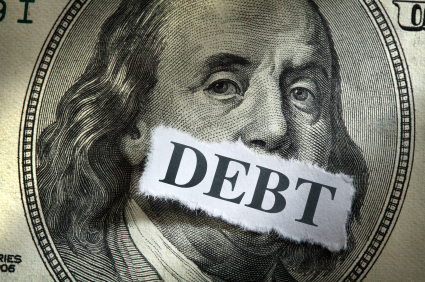 Controlling Your Personal Debt: This article explains how to take control of your debt. You can choose different types of debt over others and take control of your finances.